Using Token Based Authentication, clients are not dependent on a specific authentication mechanism. 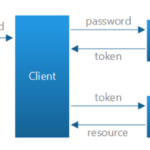 A token is generated by the server if the user is authenticated and send it back to the user. 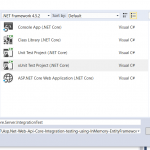 This approach provides Loose Coupling between client and the Web API. 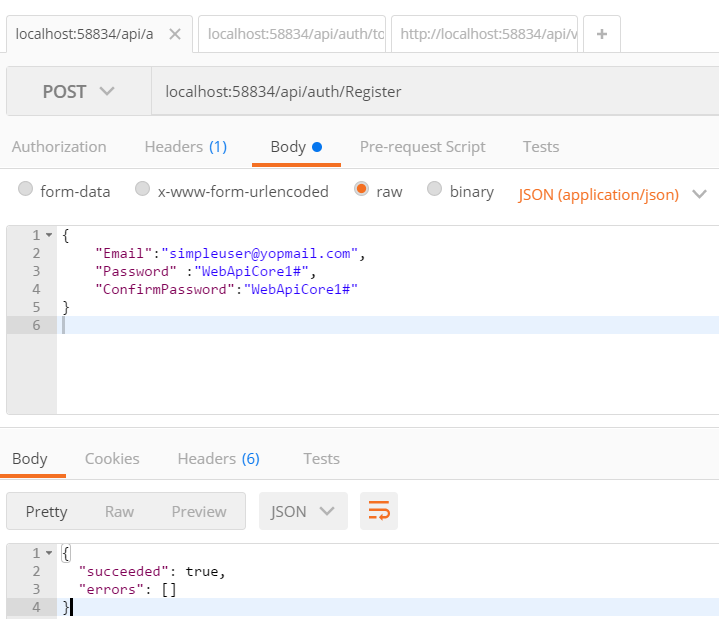 In my previous tutorial Angular JS Token-based Authentication using Asp.net Identity and Asp.net web API I have build an authentication server using an oAuth Bearer Token. 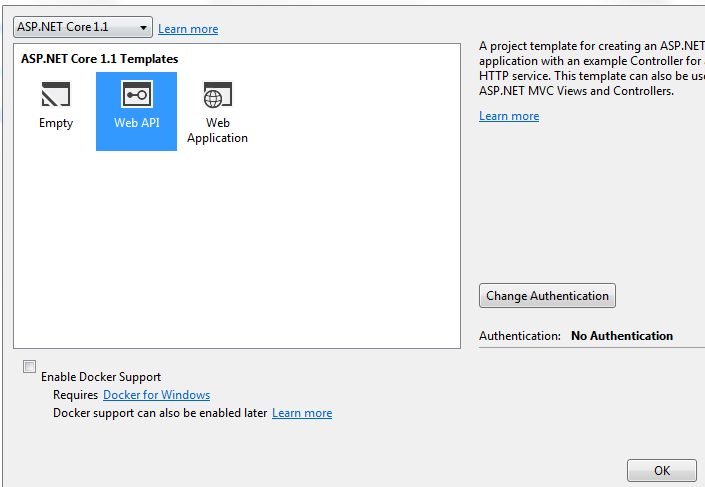 JWT enable us to securely transfer data between server and client . 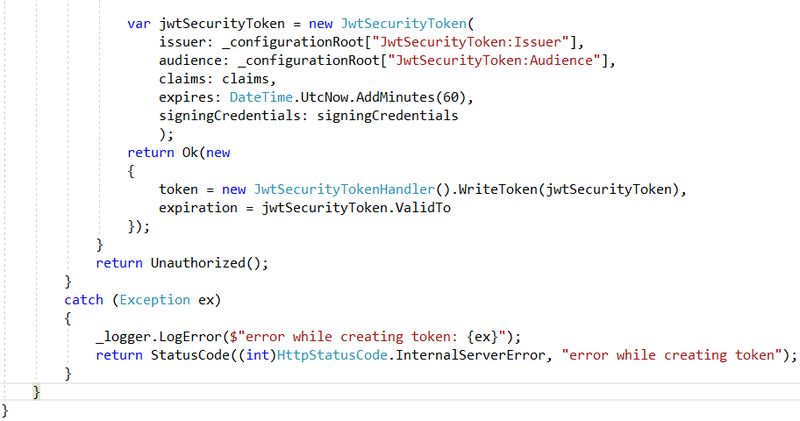 JWT therefore allows to exchange content for an authenticated user due to the secret key used in the signature. The signature also ensures the integrity of the content. Even if every one can holds the token, he cannot tempored the payload due to the signature with the Secret Key. SSL helps prevent against to MitM (man-in-the-middle) attacks. 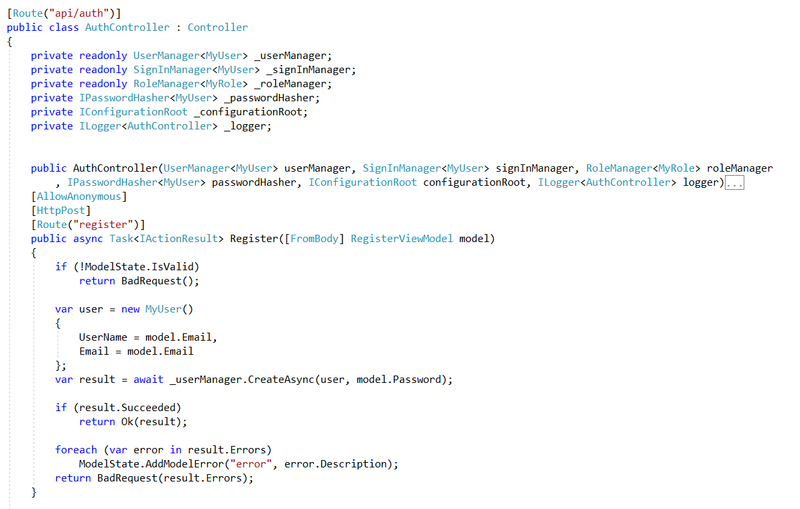 Create a User model that inherits from IdentityUser and extend it with additional properties such as JoinDate, JobTitle and Contract. 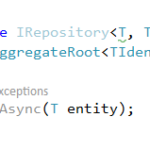 How can I create a role based on this code sample, since the entity MyRole is not included in the model for the context? 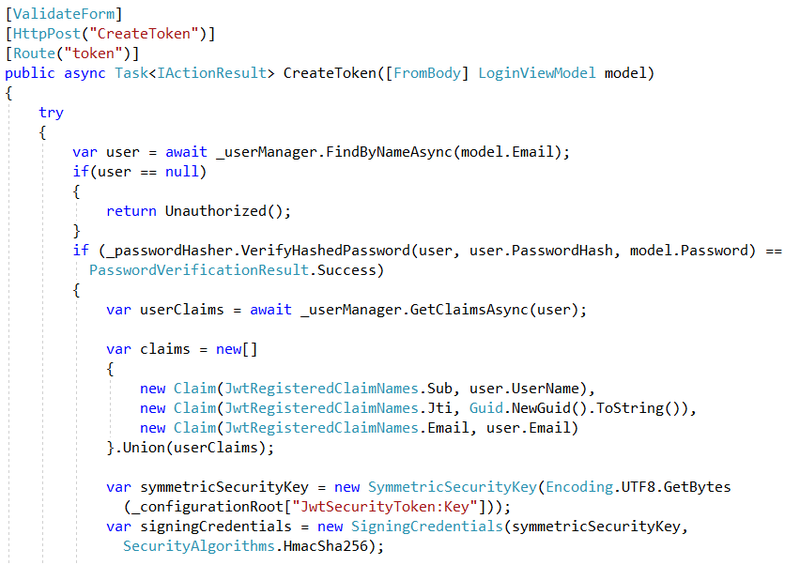 var userClaims = await _userManager.GetClaimsAsync(user); returns the role if the user has a role stored on tables userclaims. Thanks Gora, for sharing excellent article. The type initializer for ‘Microsoft.EntityFrameworkCore.Query.ExpressionTranslators.Internal.SqlServerStringReplaceTranslator’ threw an exception. There are no apparent duplicate Id’s or anything. Quite new to EF so it might be obvious – do you know why? Hi, I think you have an authorization problem, you can verify your database security. how do you protect from XSRF ? Hi Gora, That was exactly what I did. it still returns 401. Thanks. Same Issue with me, I don’t know if it’s supposed to create a token in the database but if that’s the case it doesn’t. Thanks for the nice article. I can generate token but when i request for resources using the token obtained i still get 401 unauthorized. in the headers of my Get request. 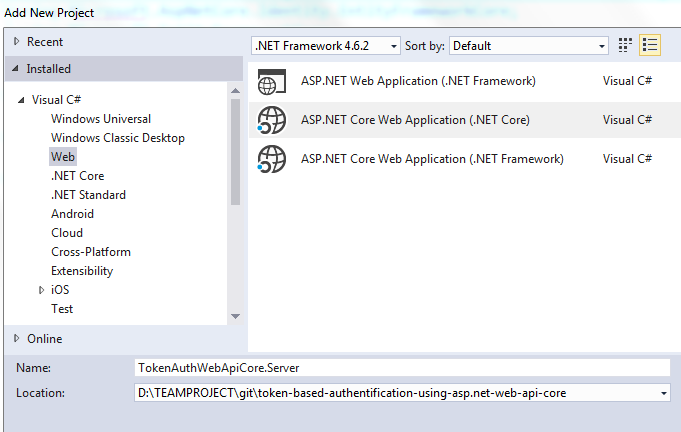 Also using web api core 2.0. Hi! Thank you for tutorial. Can you explain me, how make refresh token?